B & M Leisure is a private company run by Brian McFeely, who has over 20 years experience in the club and corporate tie business. Our offices are based in Dublin and we offer our services throught the whole of the UK & Ireland. 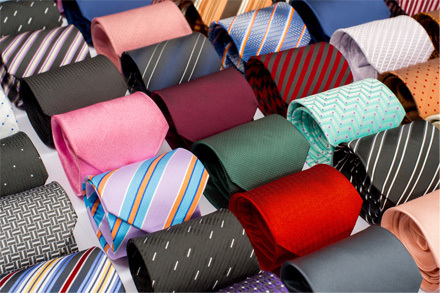 Over the years we have supplied ties to many prestigious organisations, sports clubs and events worldwide. We pride ourselves on the quality of our product and our personal service and are dedicated to supplying quality goods, competitive prices, excellent lead times and reliable service. You will see from our Client list that we have built up a considerable portfolio of organisations who have benefited from the first class service we provide. 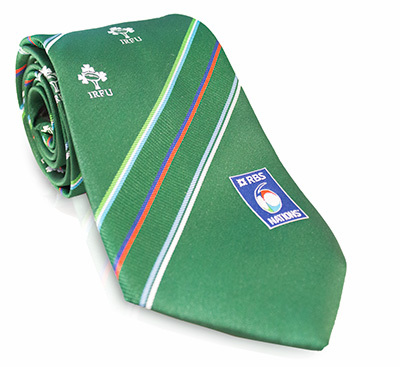 In addition to ties we can offer a wide range of corporate and sports clothing for the player, supporter and spectator. These Include wire blazer badges, wall plaques and pin badges. Below is a small selection of past and current clients. We are Official Suppliers of major Rugby Events and Clubs, some of which are available to buy online now.